“Vasculitis” is a general term for a group of diseases that involve inflammation in blood vessels. Blood vessels of all sizes may be affected, from the largest vessel in the body (the aorta) to the smallest blood vessels in the skin (capillaries). The size of blood vessel affected varies according to the specific type of vasculitis. 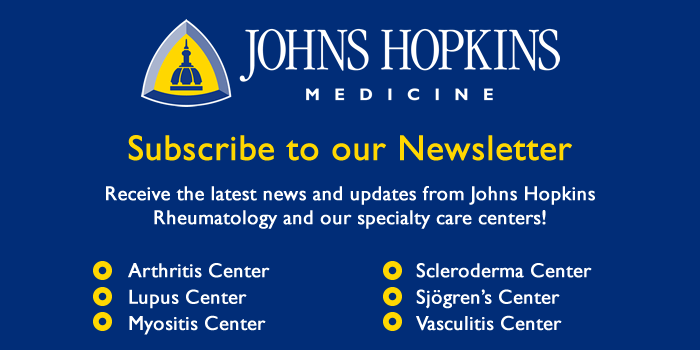 This Johns Hopkins Vasculitis Center website was established in June of 1998. The purpose of this Website is to provide information about vasculitis, to inform readers about the Vasculitis Center, and to let patients know where to find more information. This Website is written primarily for patients. The physicians and research coordinators of the Vasculitis Center update the Website regularly. Please visit our Website periodically to learn what’s new.